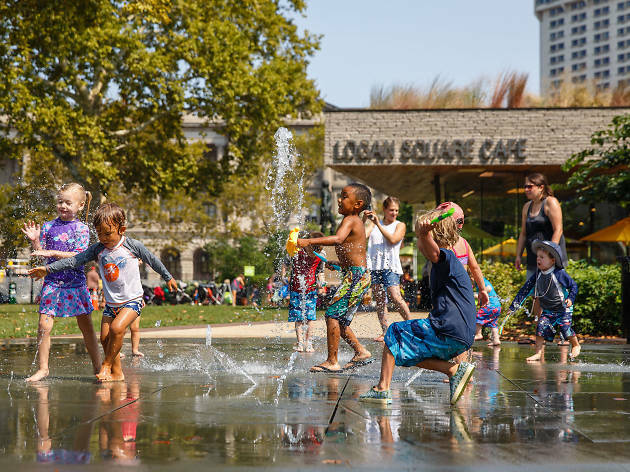 Located at the midpoint of the Benjamin Franklin Parkway and in front of the stunning Cathedral Basilica of Saints Peter and Paul, this relatively new park celebrates Philadelphia’s 10 “sister cities” across the world. Let the kids run wild in the Children’s Discovery Garden, which mimics elements of nearby Wissahickon Park with a trickling stream and scalable rocks. 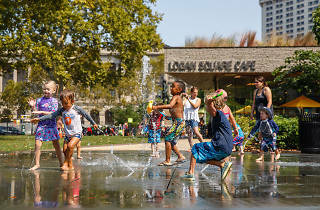 They can also splash around in the Sister Cities fountain or sail miniature sailboats on the nearby boat pond. Art lovers will notice Robert Indiana’s AMOR sculpture, which was presented to the city to commemorate Pope Francis’s historic visit here in 2015. To round out the day, grab a bite to eat at Logan Square Café, which serves soups, sandwiches, pizza and more from 8am to 5pm every day.